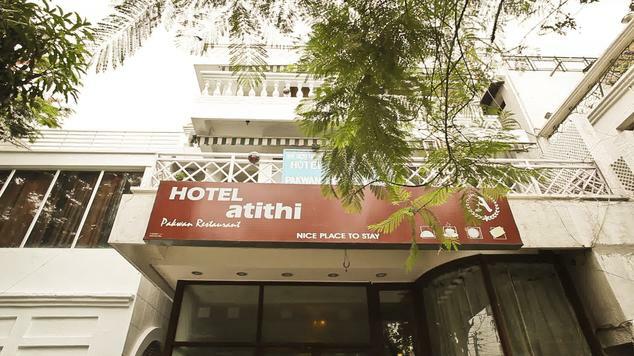 Located on Tyagi road at the Rest Camp of Dehradun, Hotel Athiti takes pride in offering its guests a peaceful environment. This hotel has been transformed into a luxury hotel that provides discrete accommodation and is a perfect retreat for travellers and business associates. The hotels philosophy believes to make an effort towards pleasing the guests with luxury, entertainment and conveniences. The entire staff strives to maintain the level of superior service, which helps the guests to experience the hotels dedication to excellence. The hotel has been carefully designed with unique air-conditioned conference rooms, spacious rooms and dining and entertainment facilities. 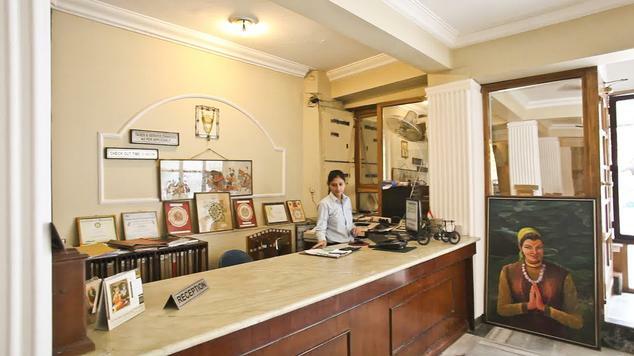 It also provides a number of amenities like taxi and luxury coaches, courier service, air and railway bookings, doctor on call, laundry service, reserved parking, transfer facility and many more. 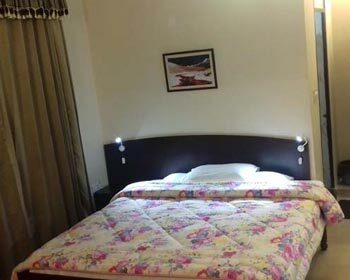 These well furnished rooms are non air-conditioned but include a ceiling fan, a double bed or two single beds, marble bathroom, remote controlled TV along with satellite local as well as international channels, radio and direct calling world wide telephone and 24 hour room service facilities. 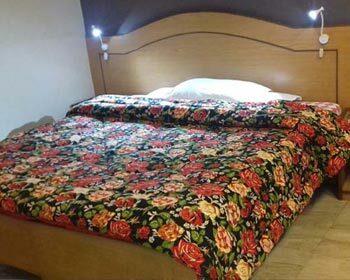 These air-conditioned rooms include a double bed or two single beds along with bed side tables, two chairs and a coffee table, marble floored bathrooms, hair dryer, radio and telephone facilities, all day room service and a TV with local as well as International channels. The air-conditioned rooms are designed to experience luxury. 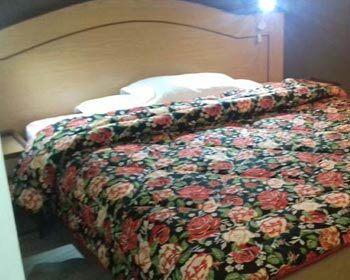 The rooms include a large double bed or two queen sized beds, attached bathrooms with a separate bathing space, a large mirror, hair dryer, iron with an ironing board, radio and telephone facilities with worldwide calling, two chairs with a table and all day room service. 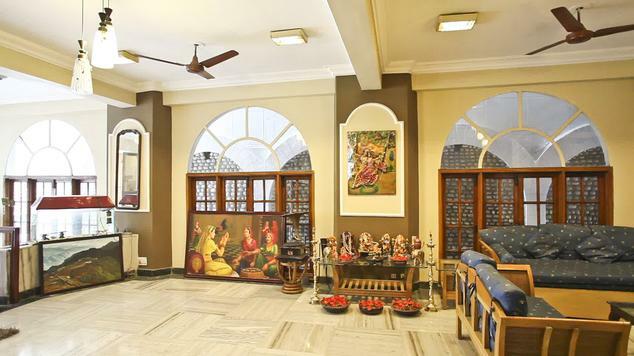 These spacious rooms are incorporate with facilities that are needed for a hassle free stay. All rooms are flooded with natural light and private balconies give the guests a unique and private view of gardens. These rooms include a large king sized bed, a private balcony and a private living room, two bed side tables along with lamp shades, air-conditioned, a mirror, attached bathroom along with hot/cold water availability, TV with national as well as international channels, hair dryers in bathroom and iron available on request. 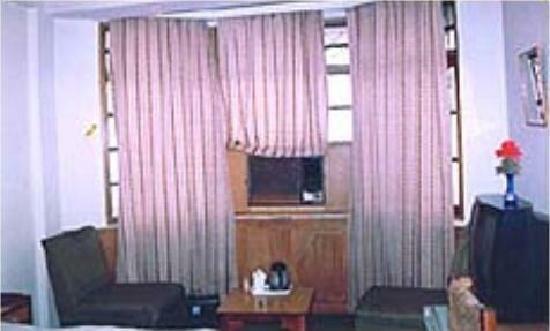 The 27 well furnished rooms are done in subtle colors and with tasteful upholstery and trimmings. The deluxe rooms with working tables are ideal for corporate clients. In winter room heaters are provided in the rooms at some nominal charges. The on site restaurant caters to the guests culinary and entertainment needs. 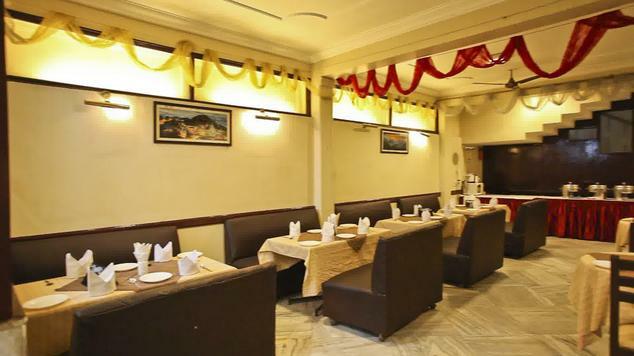 This air-conditioned tastefully designed restaurant provides breakfast, lunch and dinner that include Continental as well as South Indian snacks. 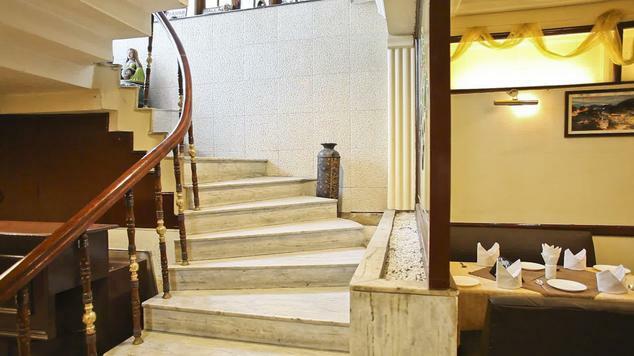 The hotel serves vegetarian Indian and Continental cuisines. The chef has developed the menu to its highest standards and offers wide range of delicacies to choose from.